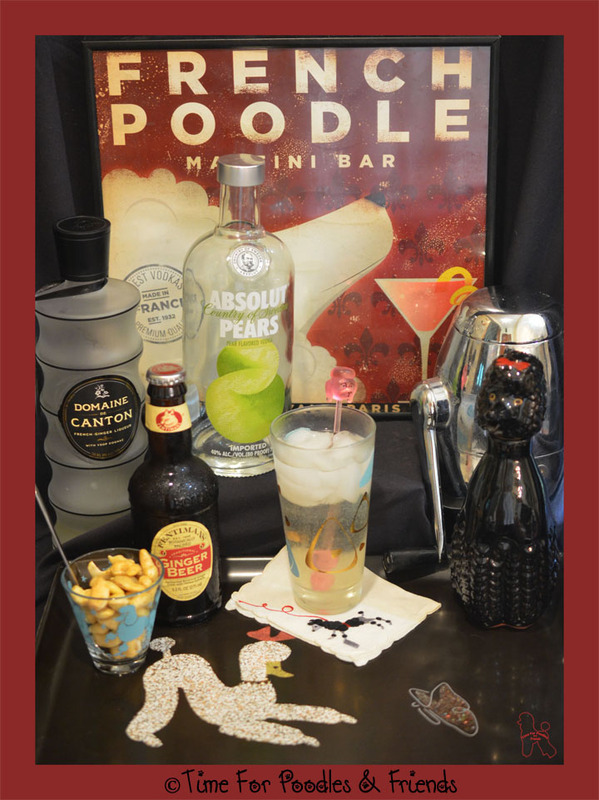 Hello on this Thursday and welcome to our second installment of the Poodle Martini Bar! Today's cocktail was developed to celebrate Taz's one year arrival. He showed up on the last day of June a year ago at our back door. But he wanted to be wooed and that whole story can be found HERE. This cocktail has nothing to do with Taz being lazy, although he does look pretty chilled out in this photo. It really has to do with the ease of making this drink. I call it a dump and pour. Before I even go over the recipe I will tell you if you don't like fresh Ginger and things a tad spicy this might not be the cocktail for you. The Lazy Siamese isn't really super hot but it has a nice little kick to it. This probably has to do with the Ginger Beer (which is non-alcoholic but is nice and spicy). This drink came about because I fell in love with the Domaine De Canton bottle. This bottle has to be one of the coolest bottle designs around. I can put ginger in about everything I can get away so I thought it would be a sure bet that I would like the liqueur. Pears and ginger just sounded like a perfect combination to me. 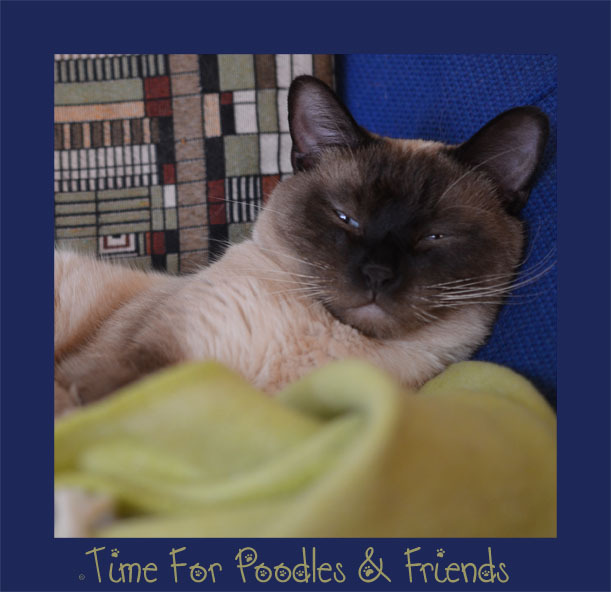 And The Lazy Siamese was concocted. For me, it was love at first taste. This was a happy moment because I had had a series of flops trying to make something original using an Apricot theme. 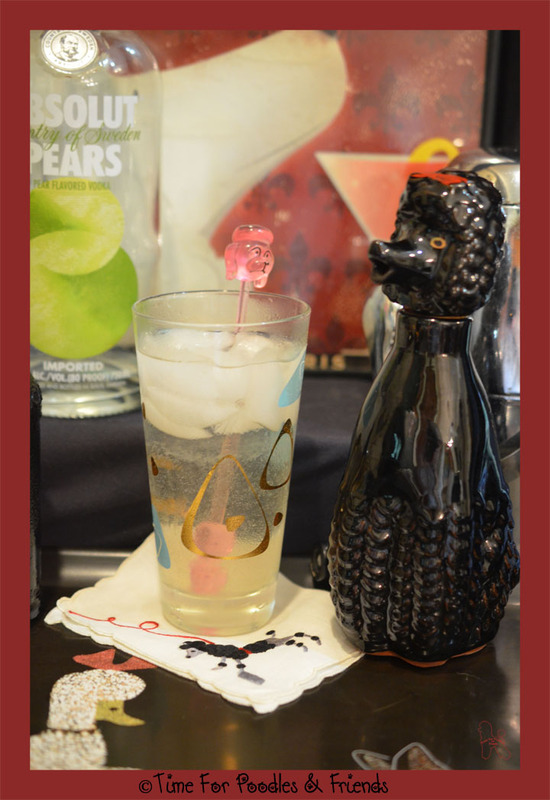 A vintage Atomic design glass, pink Poodle swizzle stick and a Poodle decanter-originally for Rye Whiskey. Also shown is a embroidered cocktail napkin. In the background is a stainless steel ice crusher that also turns into a mini ice bucket. Fill a tall glass up 3/4s with ice. Pour Pear Vodka and Ginger liqueur into glass. 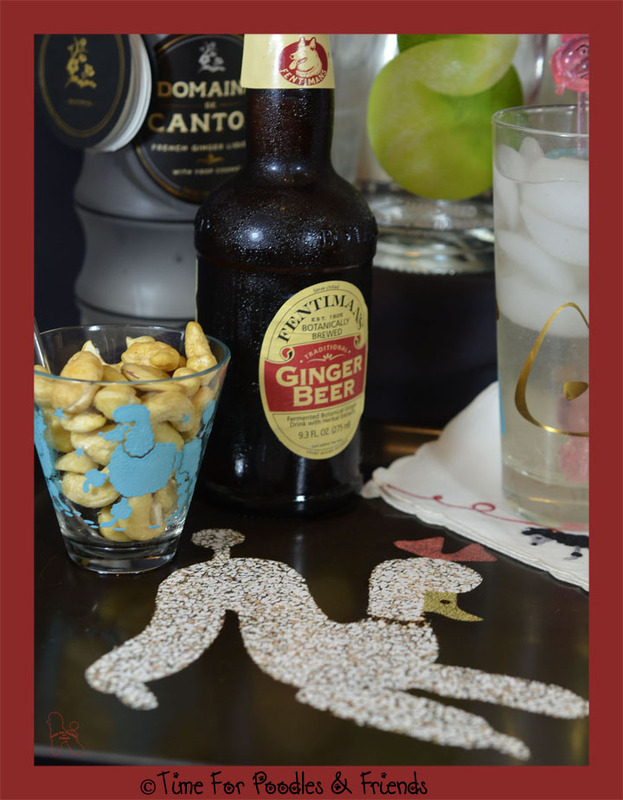 Finish out with the ginger beer. Stir and enjoy. I like Poodle shot glasses. I don't drink shots but find they are perfect for serving nuts and candies in. I consider the best piece in my collection is the tray from Couroc of Monterey. "The Couroc Company was a Monterey California company that produced many different types and shapes of trays, boxes, ashtrays and glassware from 1948 until their closure in the early 1990s. 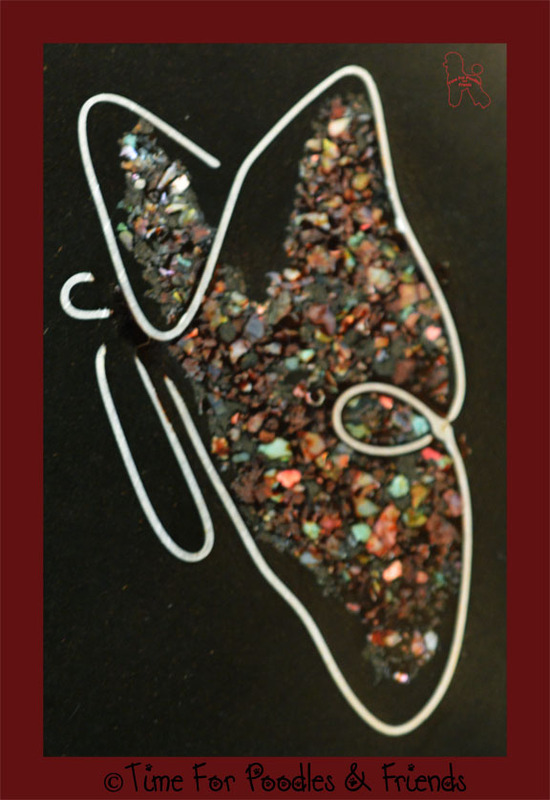 Their products have become and remain collectible because of their high quality and beauty. Guthrie Courvoisier, owner of Courvoisier Galleries in San Francisco formed Couroc in 1948. His wife, Moira Wallace was a designer that was involved in designing manufacturing - sometimes even 'signing' her work. Couroc was formed in Monterey an area that held strong artistic communes at the time. Being located in a beautiful part of the Pacific coast had other advantages, Couroc relied on a plentiful supply of natural design elements, especially coral and shells." Further discussion on Couroc will found at this LINK. So that's it my friends. 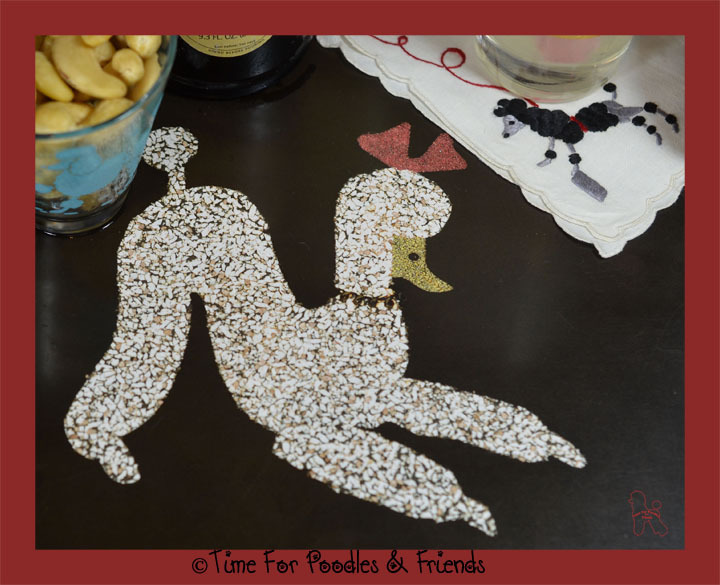 Even if you don't indulge in cocktails, I hope there was something you found interesting in my post today. And so until next time, wag on!